OMG Posters! » Archive Brian Ewing's Graveyard Poster - OMG Posters! 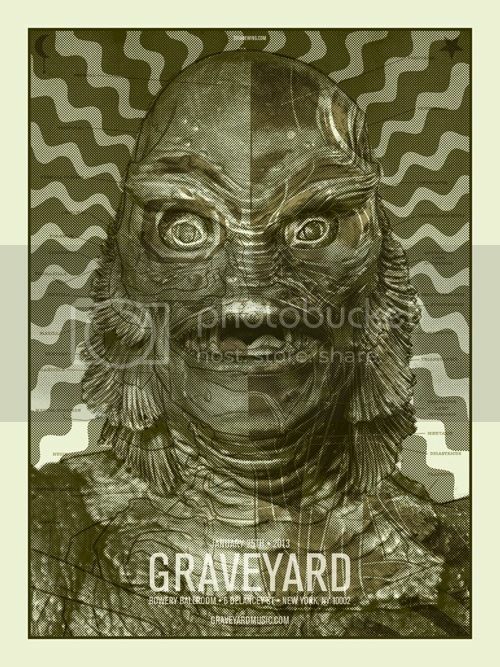 Continuing his monster series, Brian Ewing released this new Graveyard poster last night. It’s an 18″ x 24″ screenprint, has an edition of 100, and costs $30. Visit BrianEwing.com. Yikes! looks like El Jefe has the same sort of series going in his store. Happy accident I guess. A few other artists posted Creature pieces around the same time as well. Ordered! Excited looking forward to my first Print, thanks Brian!